It's mid-July in Athena, Mississippi, and that means one thing. Heat. Wet, sticky heat. In the South, of course, there's not often any other kind, thanks to the humidity. Heat that gets under your clothing and crawls over your skin. Heat that soaks your head and makes your hair feel like it's going to float away. Heat that drips off the end of your nose and makes your glasses fog up if you happen to get hit by cooler air. You get the picture, I'm sure. The heat is why I tend to stay inside as much as possible during the summer months. Heat like that makes me irritable. I don't know about you, but it's hard to feel pleasant toward other people if you feel like you are one big walking puddle of sweat. Some say the heat leads to more violence. I suppose I can understand why. People lose their tempers more easily when they're hot and stressed. Small things get magnified into bigger things. Someone snaps, does something violent, and here come the cops. But the weather isn't always a factor. Just recently, as a matter of fact, right smack dab in the winter in Athena, we had another murder. At a library fundraiser, no less. And, yes, I was involved. Maybe I'm paying off some kind of karmic debt by encountering dead bodies and helping find the killers. Nobody was sweating -- except perhaps the killer. Oh, I so agree with your description of the heat! We have had that kind of weather too often already this summer. And the number of murders do increase during hot spells in Milwaukee. Anyway, today is a better day so I had better get out and enjoy it while it lasts! The summers in South Dakota can also be hot. Last year, it was HOT and DRY. This year, we've had a lot of rain so it has been humid. 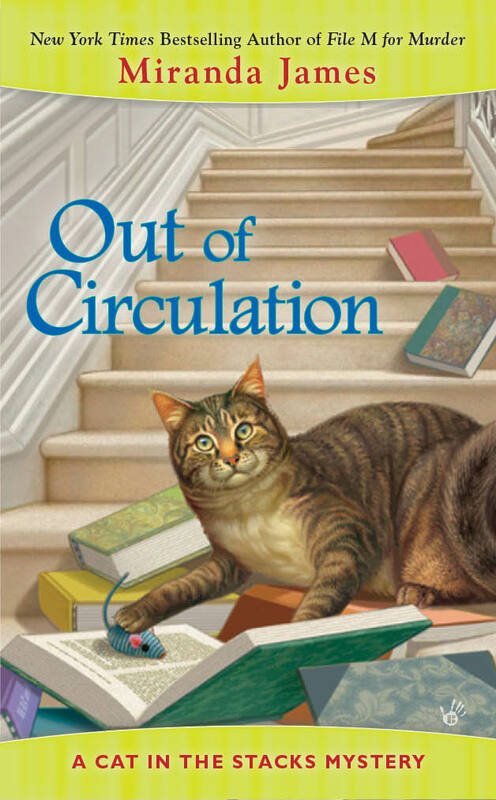 I've read all of the Cat in the Stacks Mysteries and reported on them to my mystery group. I'm looking forward to more.